Insatiable Harry Potter fans—are there any other kind?—now have three more things to look forward to, and no, none of them are about the James/Lily/Severus love triangle. The New York Times reports that new Warner Bros. exec Kevin Tsujihara has persuaded J.K. Rowling to expand the Harry Potter ’verse with scripts for a trilogy of “megamovies” based on a slim volume that Rowling wrote over the course of 12 days in 2001 for the charity Comic Relief. 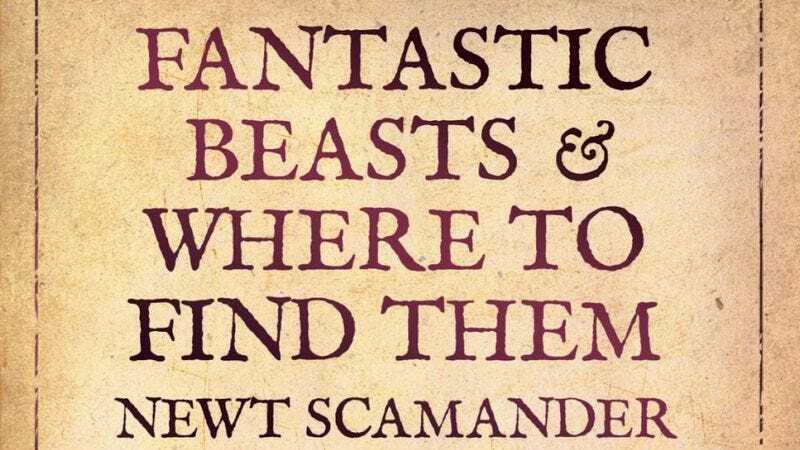 The movies will take place, somewhat inexplicably, in New York City in the 1930s, following Newt Scamander, the fictional author of Fantastic Beasts And Where To Find Them, one of the textbooks that Hagrid used for his Hogwarts course on the care of magical creatures. While the three movies will undoubtedly be packed with CGI flobberworms, jobberknolls, and bowtruckles, Rowling also joked that the three young heroes might appear as heavily made-up extras. Let the fantasy casting for Newt Scamander begin.